While foldable smartphones have made a decent first impression, these iterations use plastic polymers to enable the display to bend like they do, such as the Mate X from Huawei. However, plastic tends to crease after a certain number of folds and is also more prone to scratches. On the other hand, a foldable glass display would be able to retain its structure regardless of the number of folds and it would hold up against scratches from keys and coins repeatedly. Perhaps that explains why Apple is holding off making a foldable iPhone, while its supplier Corning perfects it foldable glass design. Apple is never the one to jump on the latest trends. The company is known for waiting for new technologies to stabilize and mature before adopting them. This doesn’t just ensure that the quality of its products is not compromised, it also buys Apple time to get the supplies for cheaper. Related Corning Is Working on a Gorilla Glass Variant That Will Protect Foldable Smartphones but When Will We See It? Corning, of Gorilla Glass fame, is apparently working on a foldable glass that Apple might use in the future. The company has already made a glass that’s just 0.1mm thick and can fold to a radius of 5mm. However, since this glass is too thin, it can’t be used on smartphones as it will easily shatter if dropped. Increasing the thickness of the glass without veering out of the 3-to5-millimeter bend radius range is a technical challenge and the company is currently working on improving it. 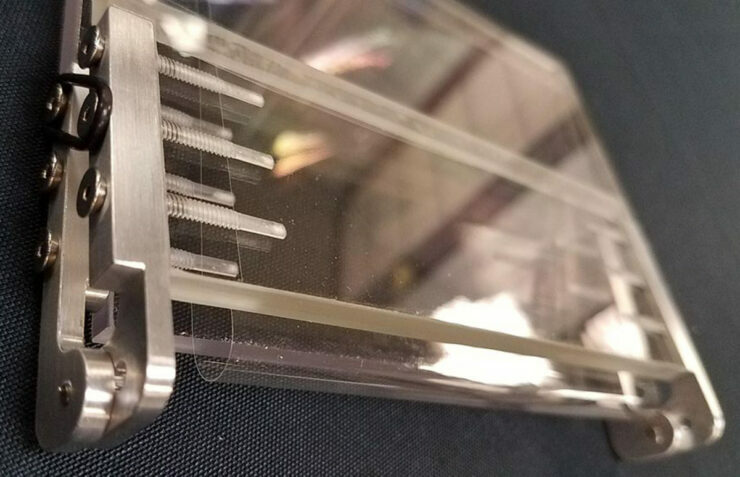 Corning is currently experimenting with the fusion of the rollable Willow Glass and Gorilla Glass, but since that entails immersing the glass into a molten salt solution, it corrodes the transistors found in the display. That’s why Willow Glass is currently not suitable for smartphones. Corning believes that in a couple of years, it will be able to overcome the challenges and come out with a foldable glass that is both drop resistant to a degree and has a tighter bend radius. Such a glass would be a lot better than what has been used for the Samsung Galaxy Fold. Of course, it’s not like Apple’s competitors will be snoozing at that time and they will be able to launch improved iterations of their own. Apple has been rumored to release a foldable iPhone in 2020, which is the same year when the tech giant’s first 5G-ready device will be launched, so stay tuned, for more details. ONEPLUS 7 – New Leaked Photo!